Rangers manager Steven Gerrard is reportedly closing in on a transfer raid on his old club Liverpool as they look set to take Ovie Ejaria on loan. Sky Sports reports that the 20-year-old would join on a season-long loan move, and that a deal could be concluded by next week. Liverpool fans could be excited to see a talented youngster like Ejaria moving on to play more first-team football, especially under the guidance of a Reds legend like Gerrard. 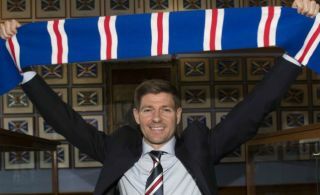 LFC supporters will also be keeping a keen eye on how Gerrard does at Ibrox as they’ll no doubt hope he can be as big a success as a coach as he was for them as a player. While Jurgen Klopp is hugely popular as Liverpool manager at the moment, Gerrard would no doubt be warmly welcomed back to Anfield in the future as a manager if he can forge a successful career for himself in the dugout. It is little surprise as well to see the former England international use his connections at his old club to strengthen his Rangers squad ahead of the new season.